St Eunan’s College has a diverse and rich extra curricular programme. The school has a proud sporting history. We have Gaelic and soccer teams at all most age levels and the school participates in inter-collegiate championships at Ulster level leading to participation at All Ireland level. The college has basketball, golf, athletics, and swimming teams, all competing at inter collegiate, provincial and national level. 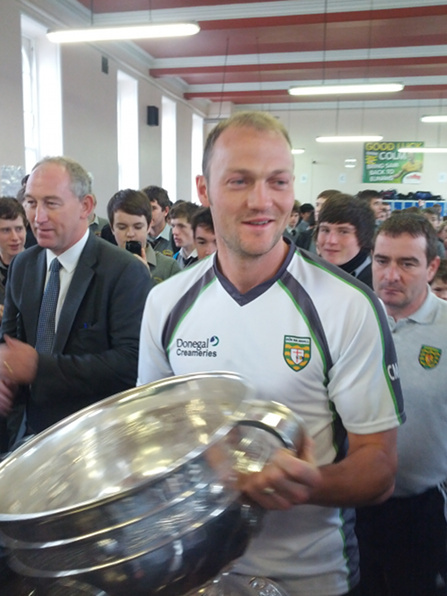 The All-Ireland winning Donegal team of 2012 had 12 past pupils including staff member Mr.Colm McFadden and the team captain Mr.Michael Murphy. In athletics several students have gone onto great things including recent graduates Mark English and Ruairi Finnegan who have all represented their country and from whom we expect to see a lot more of in the future. Our basketball teams have also had great success with multiple All-Ireland titles we now play in the national A Division. Sport is not the only extra curricular activity in St Eunan’s College. Students have participated in Tra na gCeist Irish language debates over the last number of years. Our annual concert held in 2nd term is a showcase of musical and artistic talents throughout the school. Guitar and violin lessons are available in the school depending on demand. Students from the school have participated in the Young Scientist competition for the last number of years including Eoin Farrell who went on to win the best overall individual project at the competition. 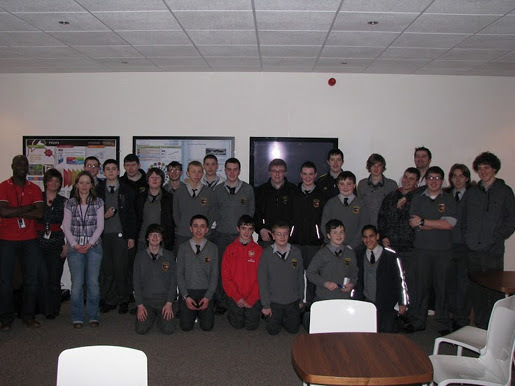 Our school Computer Club and recognised CoderDojo has recently reopened and a large group of students take part in projects covering electronics, Unix operating systems, programming and other technologies. Each year local companies support the students in learning modern programming languages including Java and Python. The club also organises field trips and has been lucky to establish relationships with many of Ireland’s leading tech firms including Microsoft and Google. Students contribute generously to charitable drives throughout the year most notably at Christmas. Following the tragic outcome of the tsunami in South East Asia at the end of 2004, students raised over €16,000 for the various charities tending to relief effort there. The school tour is much looked forward to by our students. Recently the tour has visited China, previous to this students have skied in Italy, France, Norway and the United States.